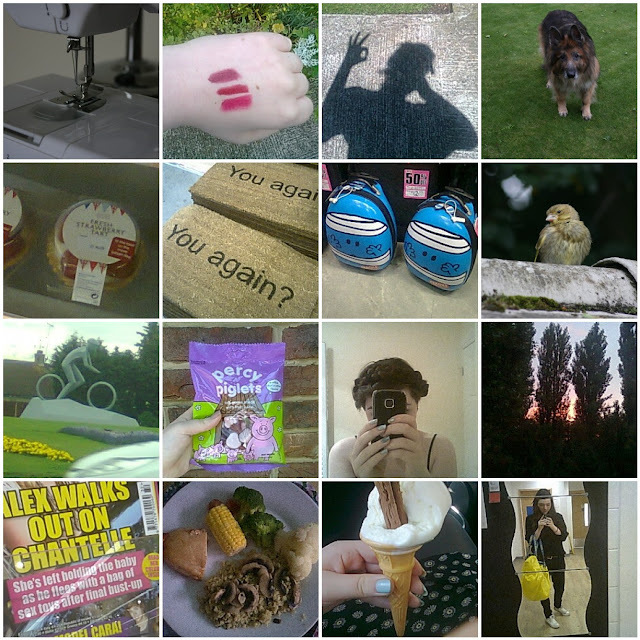 Week in photo's - 29th July to 12 August | S J M W E L L - Fashion, Beauty & Lifestyle blog. The sun is finally out! They held part of the Olympics down the road from where we live yesterday which is quite exciting, I love all the banner's and decorations everywhere. It's gone by so quickly, I remember being in school & everyone saying '2012' is the big year, I can't believe it's the closing ceremony tonight (Spice Girls!) This year is going by way to quickly, I'll be 18 in 2 month's! Woah. Hope everyone had a lovely week, are you going to be watching the closing ceremony? The Mr.Bump cases are very cute! It look's yum haha, Thank you! Lovely photos! Where was the door mat from - I love it!